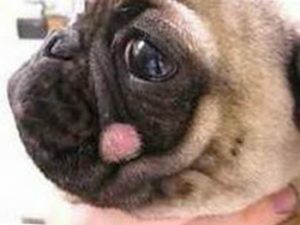 How do you get rid of ringworm in a dog? Once your dog is positively diagnosed with Ringworm, a veterinarian may recommend many different medications (both oral and topical) for use in treating the fungal infection. However, you should take into account some of the more natural home remedies to using prescription drugs to treat your dog’s Ringworm infection. As with any home remedy, it is always best to check with your veterinarian first. It is worth noting that some home remedies may conflict with a dog’s other medications or may be dangerous if a dog has a preexisting health condition besides the Ringworm infection. Here are the best ringworm treatments that can be done at home. Can apple cider vinegar cure ringworm? This home remedy is frequently used to treat infections and is fairly effective in treating mild cases of Ringworm in dogs. However, it is important to keep in mind that apple cider vinegar is an acidic substance, and may cause your dog a significant amount of pain when applied directly to skin lesions. This homeopathic remedy is also known as “Goa Powder“. It is a fairly powerful skin irritant that is used by some dog owners to treat infections of Ringworm. However, since it is an irritant, it may cause a dog a significant amount of pain. A possible side effect of using this remedy is that a dog’s skin condition may actually become worse from treatment with Chrysarobinum. When crushed into a paste, Mustard Seeds may be used as a topical treatment for Ringworm (as well as some other fungal infections). However, this mixture may stain carpet, clothing or furniture, so it is best to have your dog remain outside for some time after application of mustard seed paste. Honey is a natural disinfectant, and Turmeric may help to reduce inflammation (as well as having some evidence of clearing up infections). When mixed together, this substance may be applied to the characteristic skin lesions associated with Ringworm to help speed the healing process. This treatment is rapidly growing in popularity and is now used to treat Ringworm in both humans and dogs alike. The best type of papaya to use for this treatment is raw Papaya, cut into thin slices. The slices of fresh Papaya may be rubbed over the infected areas or may be made into a paste for topical application. The plant known as Holy Basil is not to be confused with regular Basil, though they are slightly related. Holy Basil is a clover-like plant and has a reputation for healing many medical conditions. As used for a Ringworm treatment, the juice from a Holy Basil plant may be applied to the infected area as a general disinfectant. Tea Tree Oil is fairly well-known for being a powerful disinfectant. As a treatment for Ringworm, it can be slightly diluted and applied to the infected areas. However, it’s important to remember that Tea Tree Oil has been suggested to be toxic to some animals (such as cats), so you must be careful when using Tea Tree Oil to treat Ringworm. This home remedies for treating ringworm will help in treating ringworm however it is important to take the necessary steps to prevent the ringworm returning. The following tips will help the prevention of ringworm in your dog. Since the infection known as “Ringworm” is caused by a fungus, the primary transmission mode of this condition is through exposure to infected animals, soil, or substances. The fungus that causes Ringworm (Dermatophytosis) is present worldwide, though mainly thrives in hot, humid climates. Humans, cats, dogs and other small animals are all prone to being carriers of Ringworm, and may also become infected. 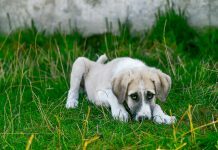 Though there is no definitive procedure that will result in absolute prevention against Ringworm, there are several simple procedures that will greatly decrease your dog’s chances of being infected with Ringworm. 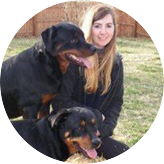 As a responsible pet owner, it is always best to be aware of the other animals that your dog is interacting with. If you know that a friend’s dog is infected with Ringworm, do your best to avoid bringing your dog into contact with the infected dog. This may seem like common sense, but it is a very important part of lowering your dog’s chances of being infected with Ringworm. The fungus that causes Ringworm is easily transmissible from an infected animal, especially if your dog has a compromised immune system (or is still a puppy with undeveloped immunity). An effective prevention method against Ringworm involves keeping your dog properly groomed at all times. For most dogs, it is recommended that grooming is done at least two times per week, though some dogs (especially long-hair breeds) may require more frequent grooming. Be sure to change your dog’s bedding on a regular basis, as this will also help to discourage a fungal infection. Also, be sure to regularly clean your dog’s food and water dishes. If your dog has possibly been exposed to another animal that is infected with Ringworm, try to give them a bath with a gentle anti-fungal shampoo as soon after the suspected exposure as possible. 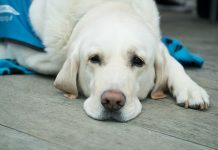 If you are preventing subsequent cross-infection among your own pets, be sure that you disinfect all pet supplies, household objects, and any other things that your infected animal has come into contact with. Try to isolate the infected animal from all other pets, and regularly disinfect any objects used by the infected animal. A substance of household Bleach (the unscented type) and water works best, though be sure to rinse thoroughly. Exercising these steps will greatly decrease the chances that your dog will become infected with Ringworm. Along with keeping track of the animals that your dog interacts with, it’s also important for pet owners to be careful as well. If you come in contact with an animal that is infected with the fungus that causes Ringworm, it is possible for you to subsequently infect your dog, even if your dog did not come in contact with the animal. This is also true for fungal spores that are present in soil or infected pet hair. For more information watch the video below which outlines prevention methods as well as some home remedies for treating ringworm in dogs. 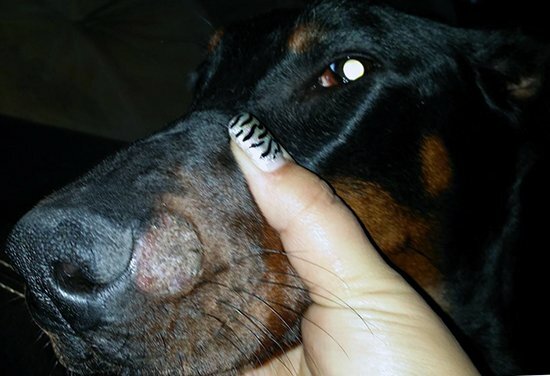 Next articleHow do dogs get ringworm?